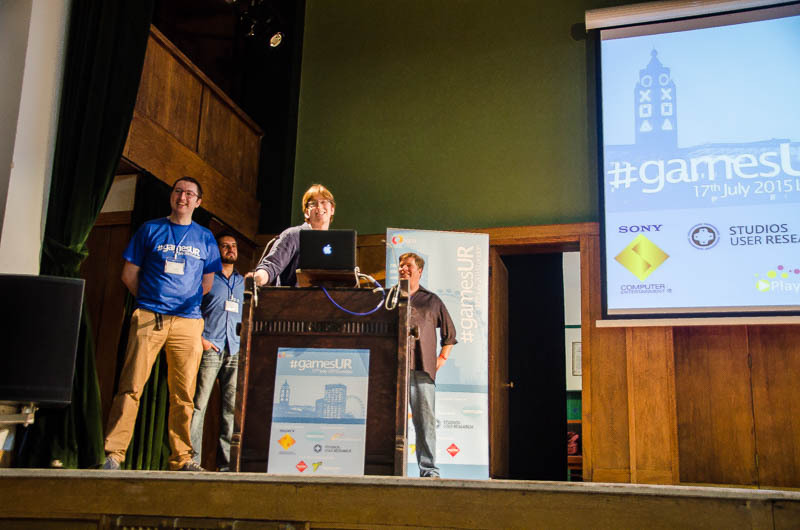 After months of organisation, on July 17th we held the first ever European Games User Research conference at Conway Hall in London. 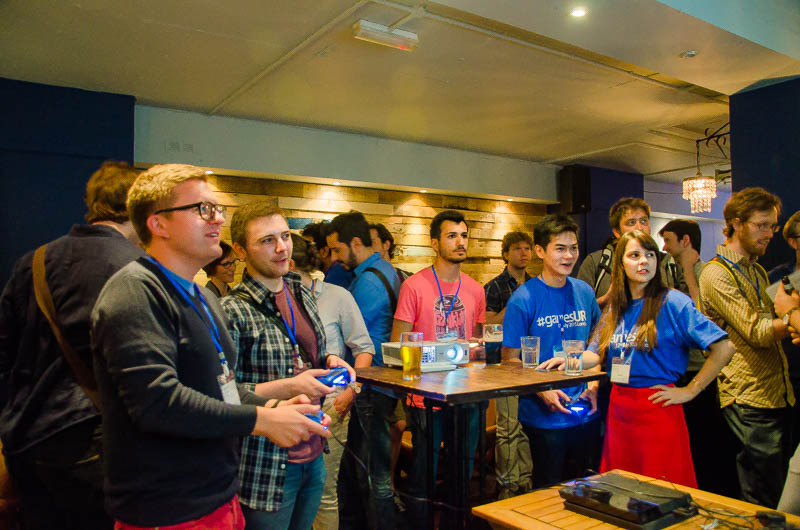 The event brought together speakers and researchers from companies such as PlayStation, Ubisoft, Riot Games, Microsoft, Epic Games and more to talk, share knowledge and collaborate. We also had a surprisingly large number of employment opportunities available, which is good for the Games User Research community as a whole! Early impressions from the day was that people enjoyed it and found it useful (though the evaluation is still underway) so we’re definitely going to look into running it again. All of the talks were recorded, and will be up on the website soon. Christie, the event photographer took some amazing photos, which are available on the website here. My highlights for the day include the evening social event where we had Rocket League, TowerFall and SportsFriends set up, with free drinks and food provided by PlayStation. This was a great opportunity to catch up with old friends, and make some new ones too! Throughout I was also impressed with the high quality of the talks. Despite running in the same year as the US Summit, we had a large range of novel topics, and those that had been covered before were given new angles to increase their relevance to researchers and make sure that their lessons could be taken and applied. The whole event wouldn’t have been possible without the team of people working hard to bring it all together, thanks to Seb Long, Mirweis Sangin, Steven Mathiesen and Karl Steiner. Thanks also to Mikael, Alessandra, Pan, Nick, Sandeep, Ningling and Katy who volunteered to help the day run smoothly, all of the event’s sponsors and for the GUR-SIG for endorsing the event and providing support and best practises from the US conference. Hopefully see everyone next year for another!